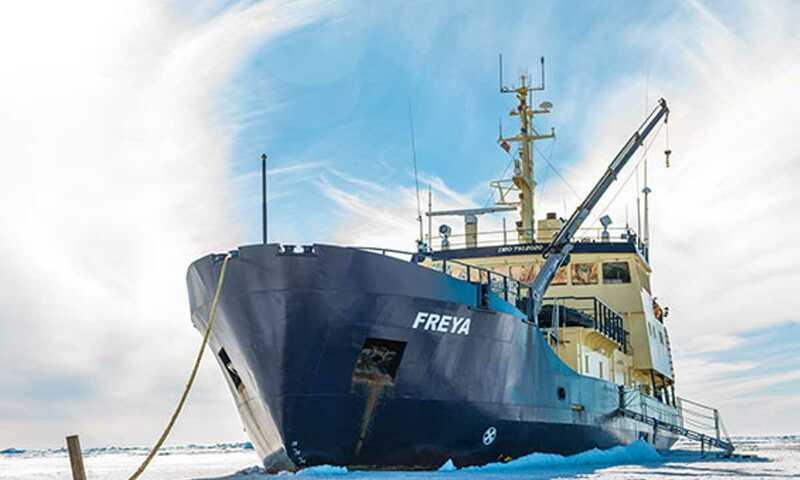 The MV Freya is the perfect platform for your Arctic adventure. Whale watching, snorkelling and photography trips can be enjoyed from her large deckspace and enjoy access to comfortable shared spaces and even an onboard sauna. The size - accommodating just 16 passengers - make this an intimate and personal polar sailing experience. The perfect platform for whale watching, snorkelling and photography trips. The double bed can be separated into two single beds.